Very near the tram lines, near the Belvedere Palace. Walking distance from Bahnhoft. Supermarket within 2 blocks. Nearby ticketing machine at tram stop had English phone call support to buy multi day tram ticket. Helpful staff. It’s great location as really close to the main station Hbf and you can reach from another statue by Westblue line. The room is comfortable and all everything inside. Johann and his team were super accommodating and professional. Overall, phenomenal hosts! Highly recommend staying with them! 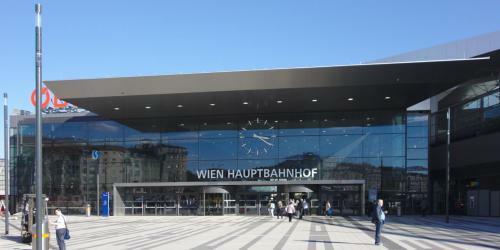 The location was great, calm neighborhood super close to Wien Hauptbanhof. Very clean with large windows looking into an interior courtyard with lots of greenery, bringing in lots of natural light. Spacious apartment and very nice bathroom furnishings. 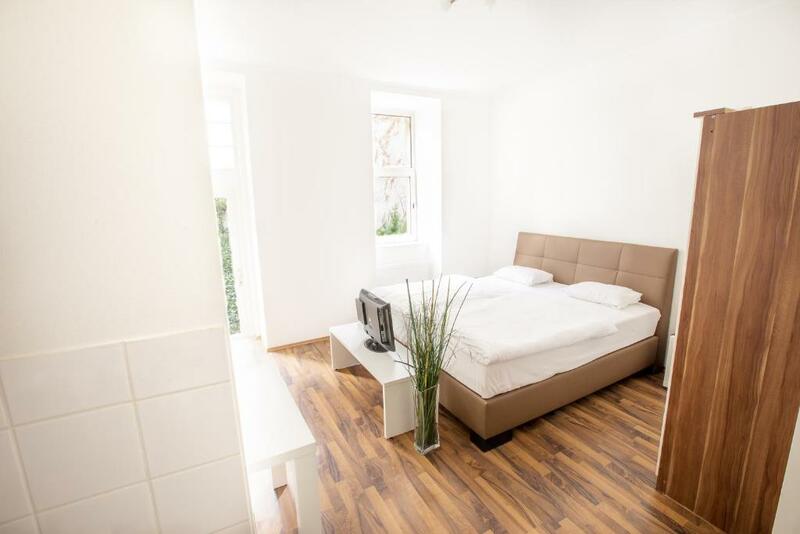 Great apartment in a great location to transport and getting around Vienna. Lovely clean and tidy room with great guest amenities. Moritz was an excellent welcome. Furnishing and facilities in the room. Great bed and great shower. Provide additional coffee and shower gel + other items for free. There was always hot water. Location was so good. Bed was comfortable. It was like a little house. Great location. The room is quite modern and has all facilities mentioned. One of our best sellers in Vienna! Grand Central Station Apartments is located in Vienna and offers self-catering accommodations with free WiFi access. 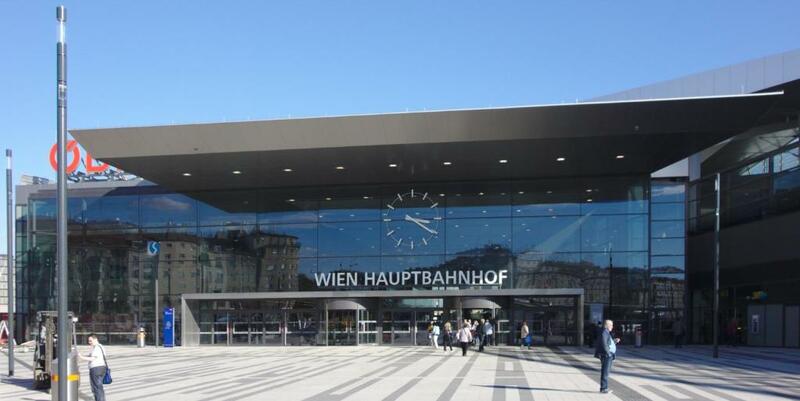 The property is just a 6-minute walk from Vienna Central Station and 1.9 mi from the Raimund Theater. 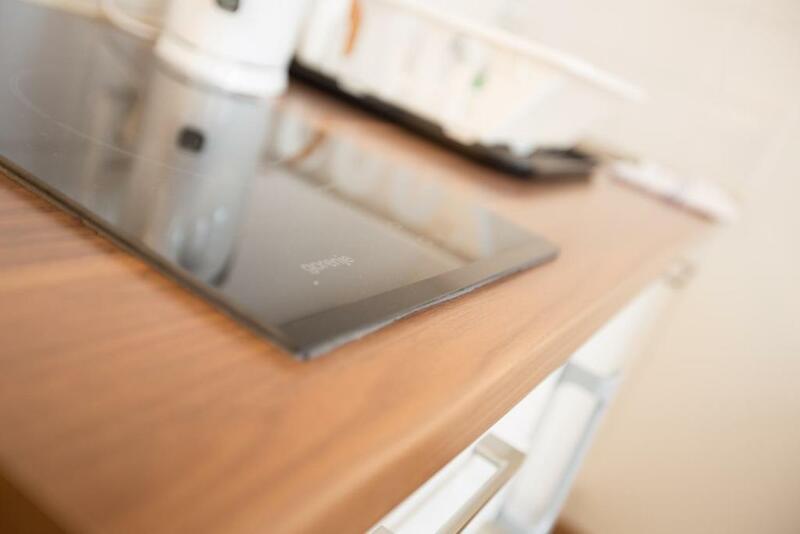 All apartments feature a kitchen or a kitchenette with a coffee machine. Further amenities are a TV and a bathroom with hairdryer. Some accommodations have garden views. Several restaurants, cafes and bars are within 350 feet. An ATM can be found 250 feet away. A grocery shop is just 1,300 feet from the property. At Grand Central Station Apartments you will find a garden. Activities in the surrounding area include cycling and hiking. A washing machine and a tumble dryer are available in a common room. If you feel like visiting the surroundings, check out the Schönbrunn Palace (3.2 mi) and Saint Stephen’s Cathedral (1.6 mi). Vienna International Airport is located 12 mi away. When would you like to stay at Grand Central Station Apartments? 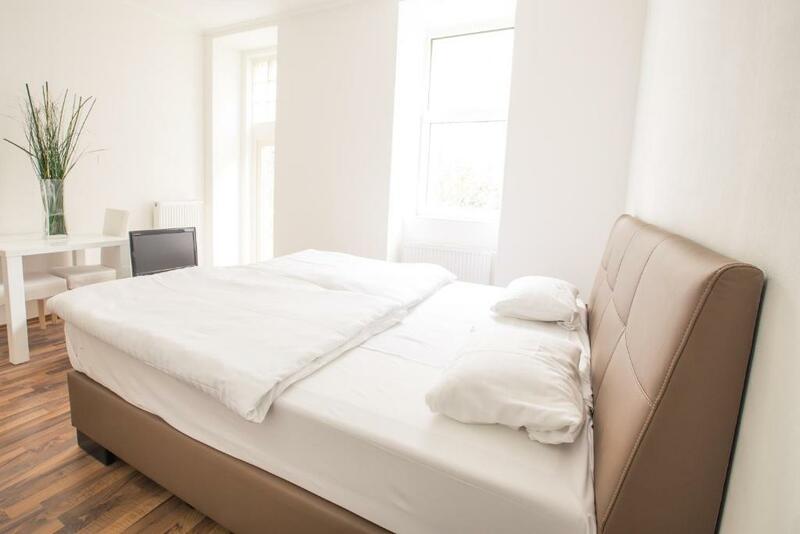 This studio features a kitchen with a dining area, a double bed and a bathroom. The apartment faces the quiet and lush garden. This apartment consists of a kitchen with a dining area, a double bed, a sofa and a bathroom. The apartment faces the quiet and lush garden. Grand Central Studio Apartments is located in Vienna's 4th district. 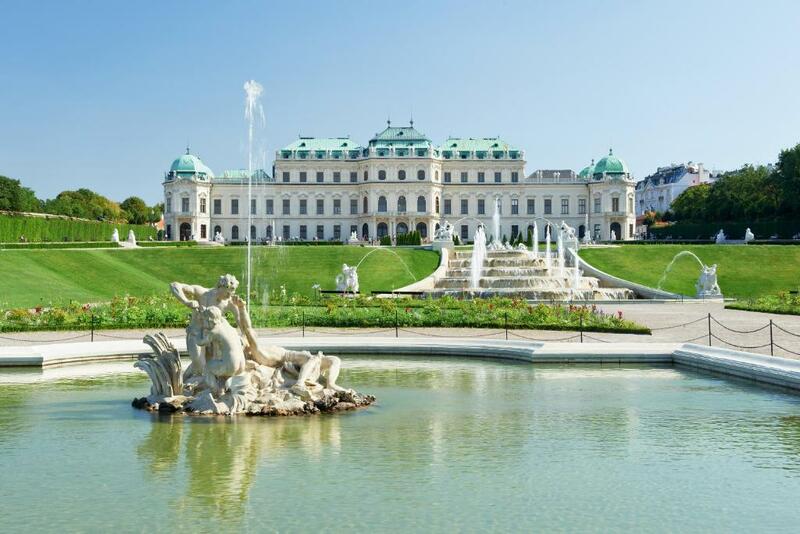 The Main Train Station and the Belvedere Palace with the botanical garden are only a short foot walk away. The apartments are located in a rear buidling facing the green garden and inner courtyard. Stay at the classy & low price alternative to a hotel or hostel. 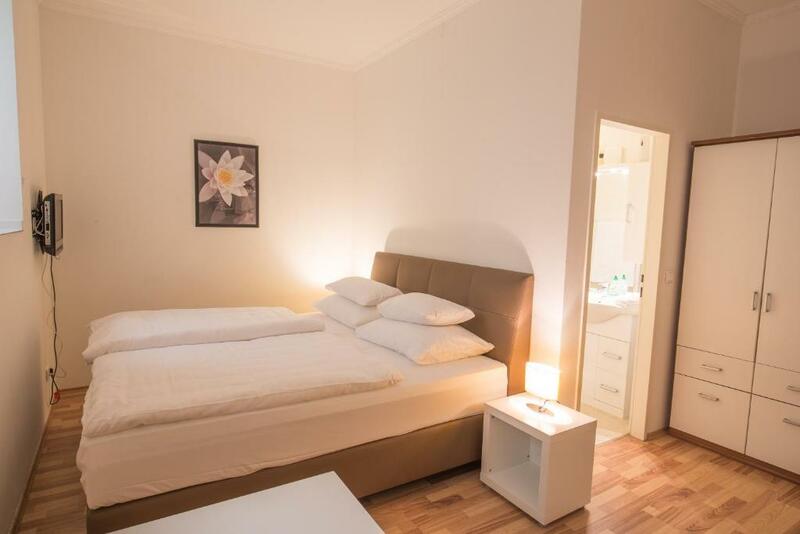 Grand Central Comfort Apartment is located a few hundred metres from the Main Train Station (Hauptbahnhof) Südtiroler Platz train station. It is less than 5 minutes’ stroll from the Belvedere Palace, Museum and Gardens, and the University of Vienna Botanical Garden. Karlsplatz is 20 minutes’ walk away. 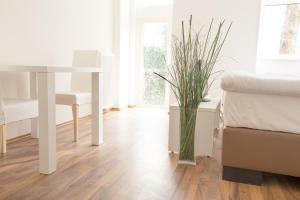 Stylish studio apartments in the south of Vienna! House Rules Grand Central Station Apartments takes special requests – add in the next step! Grand Central Station Apartments accepts these cards and reserves the right to temporarily hold an amount prior to arrival. Please note the deviating check-in time on Saturdays: 16:00 - 21:00. The location is great, just 10 minutes by walk from the Central Train Station. There are some public transport stops nearby the apartment, you can also access to the center city on your foot. There are a lot of stores like Billa, Spar, Hofer. 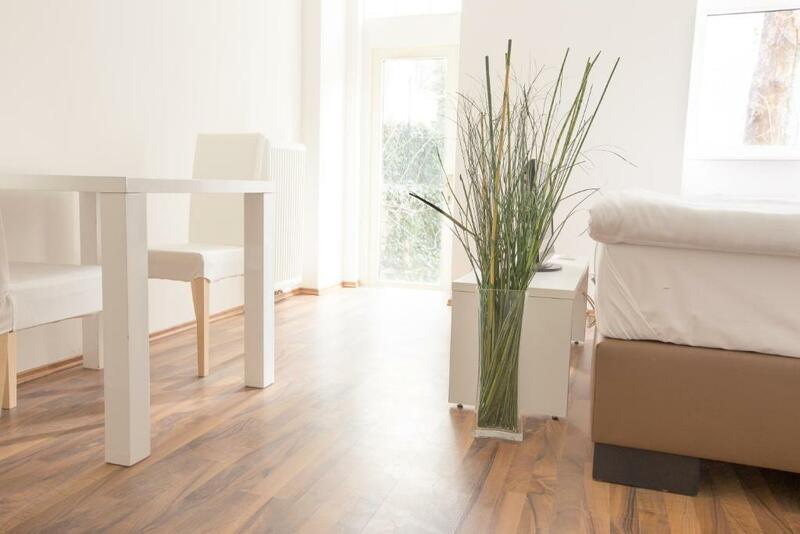 The apartment itself is clean, you can find everything you need and feel comfortable. Pretty quiet neighbourhood, you will sleep well. The host is very friendly and responsive. I do recommend to stay here. Just one small thing to host - please put some cover on the bed. The staff came late for the keys pick up that we made appointment before. According to the owner of the building, we had to enter the service entrance which passing by the garbage room. The room is clean. WiFi is good. All informations is provided. The address of the property needs a better description, the existing address leads to a private apartment in the block, when the entrance is actually on the other side of a bar alongside the block entrance and looks like a garage door. Very noisy. All the sounds from people talking in the corridor and from doors to the other apartments echoed and were amplified by the tiled floor and concrete walls. The door to the apartment needs to be soundproofed. Very friendly and helpful attentive host. Nicely appointed apartment. Very comfortable bed. 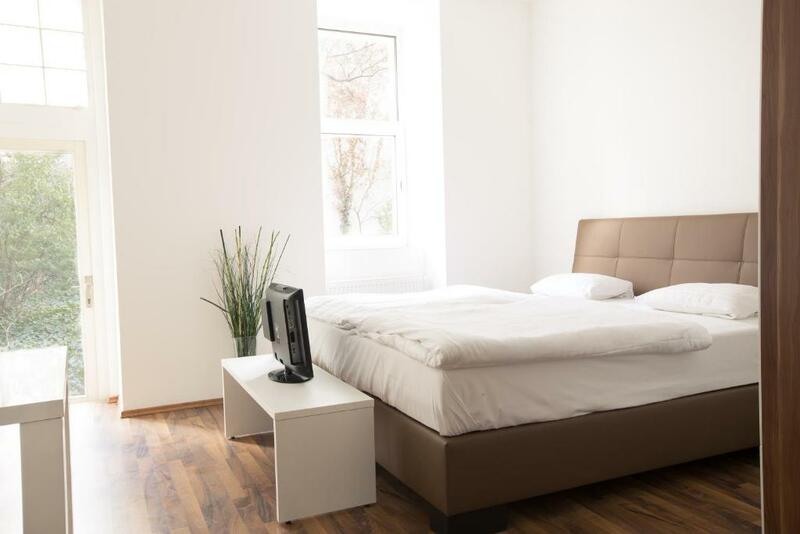 Good location near the Hauptbahnhof. The host, name Israel was very pleasant and friendly, showing the room, and share some information about the city, transportation system, and the surrounding area. Most important for me was the vicinity to Central train station. The room was given was not spacious, not getting sunlight well due to the windows placed high because of the basement floor. The faucet in the bathroom was broken, not the comfiest showering experience. Everything looked shining outside but in depth the hair leftovers were there on the towels and duvets, so I would not call it clean really. Low performance comparing the cost of the room. Over friendly was the staff who introduced the room. Shallbe more formal. Come on, Grand Central Apartments - be fare. Your cleaning fee is not a real fee, just some extra pay that you hide from people who browse for place for stay. It's just some kinda of shady business that a good houseowner shouldn't do even if he is able to. The WiFi and general phone and 4G connection was very poor, next to nothing due to the rooms been under the main building. For what I paid it was acceptable, clean and a big enough room. It was in a good location, right next to the main city train station, which included tram and bus lanes. It is not easy to do late check-in. About the late check-in, we must contact with the stuff and get the key at another hotel before 22:00. The room and the bathroom is clean.